Solar Panels convert sunlight into electricity. This technology has been in use for over 40 years. It’s well-established, safe, and reliable. Currently, Germany, which receives less sunlight then we do, leads the world in the use of solar panels, generating 39% of the world’s solar energy in 2005. The Southland could lead the U.S.in solar energy generation. Solar panels are noiseless and have a life expectancy of over 30 years. They can be designed to fit with the aesthetics of your home. State of California Rebates, totaling $3.2 BILLION over the next ten years. 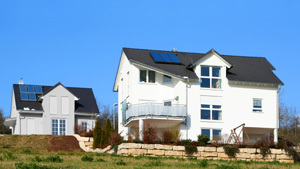 How long before savings on your electric bills pay back your investment in solar panels? 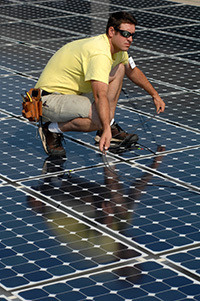 Click here to learn more about Solar Panels. At C.R.I. Electric, Inc our mission is to take care of our clients and our employees. Are you looking for new opportunities with a time tested trade? Click here to read more. © 2005 - 2019 by HappyContractor.com. All Rights Reserved.